Can something as simple as humor or laughter help treat mental illnesses such as depression and anxiety? SocialWorkersSpeak.org talked to Grocki about why laughter and humor are important tools to treat mental illness and why she decided to write her book. Q: Why did you decide to become a social worker? Grocki: The profession was a perfect fit for me. I wanted to help persons in need and transform lives for the better. In fact I had been doing social work since I was a teenager. 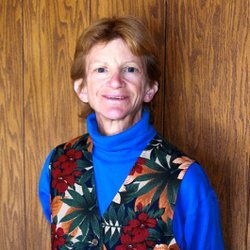 I simply was not aware that all of the volunteer work I was engaging in among culturally diverse populations comprised of the aged, homeless, mentally distraught, and physically and intellectually challenged was considered “social work.” I was merely responding to the human need I observed around me. I certainly wanted to be a positive change agent. Making change creates change. Not engendering change allows current circumstances to remain as they are. Q: What kind of social work have you practiced? Grocki: My practice background encompasses a vast range. It includes community and clinical social work. Specifically this has and still entails: professionally presenting, instructing in higher education and further, curriculum and program development, providing clinical therapeutic service in the form of supportive counseling, individual and group therapy, researching, grant writing, publishing, editing, professionally advising and consulting, leadership, management, and direct care and advocacy of elders, intellectually challenged and disabled adults and children. Q: How did you discover that humor and laughter play a role in elevating mood? Grocki: My first initial response was to try it. Listen to persons with amusing laughs, hear, view, or read funny jokes, and/or be around someone who smiles and laughs a lot.Humor and laughter are associated with pleasant emotional states. They are mental refreshers and incompatible with depression. Along with happiness, love, joy, and optimism, humor and laughter are particular ways to augment positive emotions. In most instances when a person laughs thoughts cannot dwell on anything negative. Humor and/or laughter in any circumstance instantaneously transform the milieu of an environment. Indeed, laughter is clearly contagious. Think about it. Have you ever been in a room when people just start giggling? Then suddenly you might find yourself smile or even laughing with them. That is the emotionally contagious aspect of shared laughter between persons. Q: How do humor and laughter do this? Grocki: There are biopsychosocial responses to both constructs. The brain responds in numerous ways. With the introduction of a humorous and/or laughter stimulus, initially cognition is impacted. Quickly mental attention is redirected and revised. As a consequence, in nearly 100 percent of instances, moods and emotions are rapidly altered and elevated to an elevated pleasurable state. If cognition was previously pessimistically geared, it is almost always guaranteed that humor and laughter will immediately reverse it into an optimistic trajectory. Researchers have actually been able to quantify the salubrious effects laughter has on neuroendocrine and stress hormones. Several experiments in this area have supplied conclusive evidence that laughter reduces cortisol, beta-endorphins, corticotrophins, catecholamines, dopac, epinephrine, and growth hormone levels. In this group, cortisol, a major stress protection hormone, has been empirically validated to be highly correlated with depression. Laughter also produces endorphins. In addition, there are neural correlates of humor and laughter. Humor modulates the mesolimbic reward centers of the brain. Dopamine is the main neurotransmitter involved in the humor-laughter positive emotional outcome. All of this is documented to some extent in my book. It is a fascinating new area of study for those seeking solutions to depression. Q: What is one step social workers can take to bring humor into their practice? Grocki: Easy. Smile. Psychologists have discovered that if a person is in a bad mood, the pessimistic condition can be instantly lifted by smiling. A number of research experiments have provided evidence that creating facial expressions such as smiling can produce healthy effects on the body. These residuals are similar to results which would arise from the actual emotion of happiness.Depression is a mood disorder. The mere act of smiling causes the brain to release dopamine. The release of dopamine creates feelings of happiness. The end product is a happy feeling.Of course, as a social work practitioner or even a compassionate human being for that matter, utilizing smiling to create a positive happy environment should be done in a judicious, empathic, and sensitive manner. Certainly smiling with others grieving the death of a treasured loved one is not appropriate. There are many other such inappropriate circumstances. Q: Why did you decide to write a book? Grocki: My enthusiasm about this subject and area of human need spurred me to increase awareness about learning how to utilize optimistic instruments to assist in the transformation of pessimistic moods and subsequent negative emotions. In modernity the enormous numbers of individuals plagued with the mental health issue of major depressive disorder is an alarming facet of this century. The many forms of depression and major depressive disorder are acknowledged as significant global public-health concerns. Currently, the worldwide numbers and reports of depressed individuals unmistakably designate a serious imbalance in the emotional, physiological, and social well-being of millions of persons.Depressive disorders are one of the leading causes of human suffering. The current prevalence of depression in contemporary cultures along with the untold numbers of those biopsychosocially suffering from it has taken a large mental and physiological health toll. This topic and trend developed into a fascination with the subject for me. I wanted to know why, what were the reasons, what could be done in a beneficial wholesome way to assist in transforming this pattern of negativity. As a consequence, I became ardently desirous to contribute something positive to all of those suffering from depression. Wanting to add to and enhance the existent knowledge base about how to increase optimistic thoughts, behavior, and moods to attenuate depression, I began to research the subject with more scrutiny.I fervently wanted to supply people with a positive choice. Offering an invitation for a new, fresh, and invigorating progression towards managing depression and its diverse classifications was my goal. Simply put, I desired to give some hope. Subsequently, I ended up writing this book. 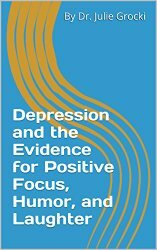 My book offers a positive alternative to remaining depressed. Finding something good each day is an important ingredient in the multiplicity of non-damaging formulas available to care for, and/or manage depression, its diversity of clinical classifications, and subtypes. Humor and laughter are complimentary and inherent rewards bestowed upon all persons merely because they have been given life. Including optimism into all aspects of living guarantees a victorious outcome in some manner. Dr. Julie Grocki can be contacted at drjzgrocki@gmail.com. And to learn more about how social workers help clients overcome mental illness visit the National Association of Social Workers’ “Help Starts Here” Mind and Spirit website.